for $4,700,000. This building was built in 1994 on a lot size of 2088702 Sqft. Business relocating!!! 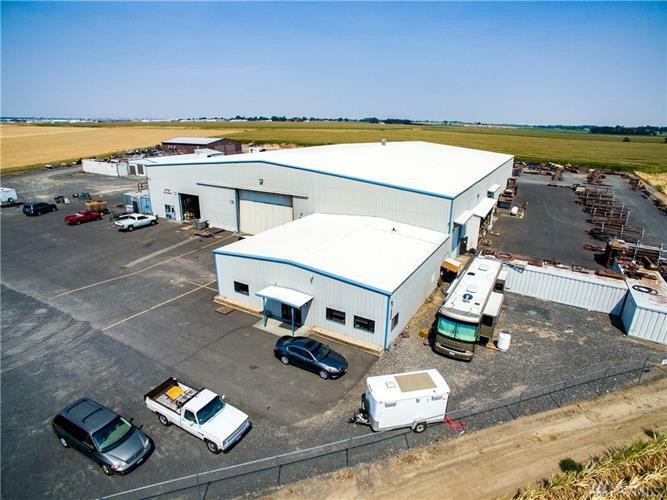 Great opportunity to own 47+ acres in heavy industrial zoning with easy freeway access & an easy drive to Spokane, Seattle, or Tri-Cities. Three buildings on the property with the main building & office measuring over 32, 000 square feet. Currently used for a steel fabrication facility with a corn crop on the back 34 acres, this rare find is just what you are looking for to grow your company. Don't miss your chance to be located in this sought after industrial area.